The name of this polo shirt, Mojave, recalls the California desert, scene of epic off-road races in the 60s and 70s. 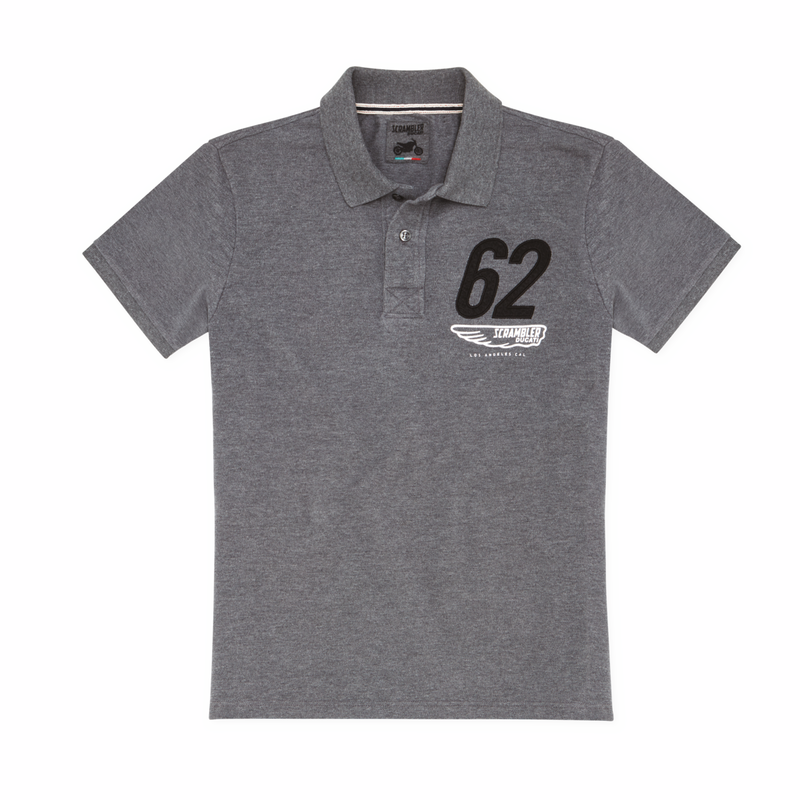 Made from 100% cotton, this shirt with a washed look features the Classic logo and the number 62, the Land of Joy's year of birth. Comfortable, breathable, featuring a strong personality, the Mojave polo shirt is available in heather grey.